We have some limited funds to contribute towards travel costs for both trainings. Please send an email to info@scottishcommunitiescan.org.uk with your expected costs by June 19th, and we will be able to tell you how much we can reimburse. SCCAN is teaming up with the Scottish Community Development Centre to bring you training on all you need to know about the Community Empowerment Act, and how it affects you. 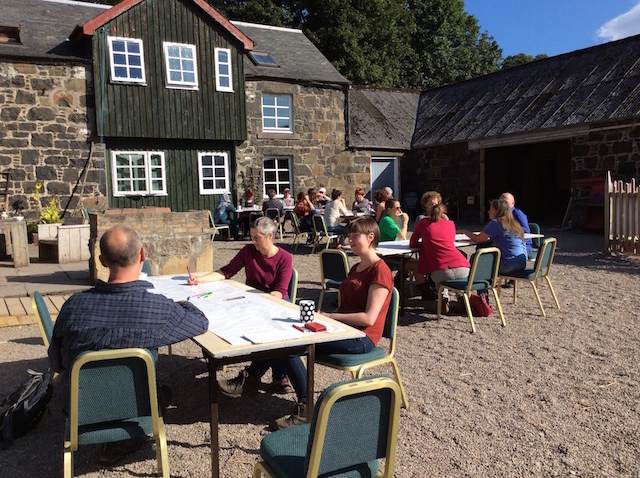 The Community Empowerment (Scotland) Act 2015 aims to empower community bodies by strengthening their voices in the decisions that matter to them. The Act and the policy environment that surrounds it presents a range of opportunities for communities around participation and planning, from initiating dialogue with public bodies on their own terms to the ownership, or use, of local assets. It also places a range of accompanying duties on public bodies. Learn about the Act and related policy developments. Explore the opportunities and challenges it presents for communities and support bodies. Learn about new processes for participation requests and community planning. A light lunch will be provided on arrival. This is a free training, but it is necessary that you register in advance. Come along to our next training session and learn a wide range of tools to boost your group’s impact and presence online, and share the stories you have been creating through all your work. We are delighted to be joined by Third Sector Lab, who will take you through tips and strategies for widening the reach of your organisation and help you focus on who your audiences are, and how best to communicate your messages. It promises to be an interesting and extremely useful day – demystifying any fear or uncertainty you may have around social media! A vegetarian lunch will be provided. Cost: £5 (£10 for representatives from funded groups with training budgets). Please bring a device you can use to connect to the internet, for the hands-on part of the training (mobile, laptop or ipad for example). If you’re trying to do good, we can help. Social enterprises, community groups, charities, public sector: wherever you’re from, we can help you to use digital tools to make a better world.We all have current experience working for charities and the public sector. We understand how you work and we’re passionate about helping you achieve your aims. We’re based in Glasgow, but we travel all over Scotland (and beyond) supporting the third and public sector. Ross McCulloch is our Director and founder. Ross has a wealth of experience working with third sector organisations on communications, social media strategy, website planning and service development.